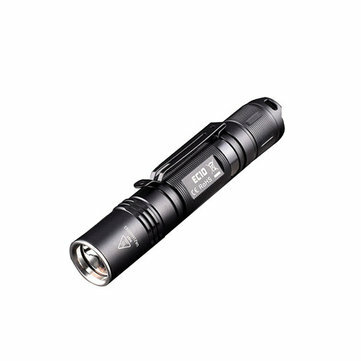 EC10 is a mini, compact tri-output, strobe and SOS flashlight with a stunning 700 lumens maximum output, It's also ideal for everyday-carry and outdoor map or book reading. - Coated tempered window resists impact, maximizes light. - Maximum output of 700 ANSI lumens.